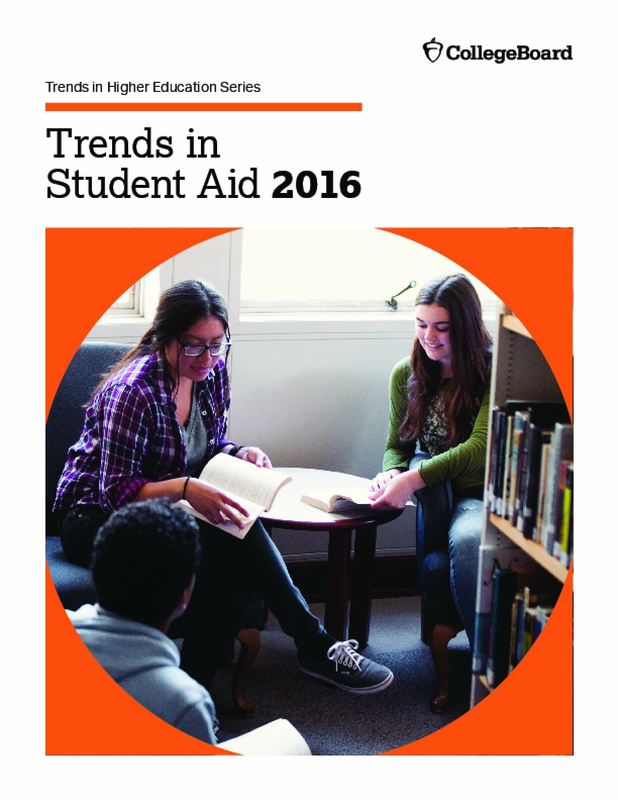 Data on student aid for 2015-16 confirm that the dramatic increases in aid awarded in 2009-10 and 2010-11 were products of extreme economic circumstances, not harbingers of long-run changes in financing for postsecondary education. Both total federal education loans and federal loans per full-time equivalent (FTE) student declined for the fifth consecutive year in 2015- 16. Total expenditures on federal Pell Grants peaked in 2010-11 and have declined in each year since, but state grant aid has increased each year since 2011-12. This year's data confirm the importance of focusing not only on the financing of undergraduate education, but also on graduate education. Unlike loans to undergraduate students, both federal loans per graduate student and total graduate student federal borrowing rose in 2015-16, after a four-year decline. Graduate students have much higher average debt levels than undergraduate students and, while they have relatively low default rates, the generous availability of federal loans makes it critical to watch these patterns closely in future years. Copyright 2016 The College Board.